I’m sure you’re all aware by now that on Monday night past, Teeling Whiskey set a new record for the highest amount achieved at auction, for one bottle, from a new distillery. At £10,000 (€11,235) this surpassed the previous record of £7,900 (€8,880) set earlier in the year. Teeling Whiskey, Ireland’s leading progressive whiskey producer, is proud to announce that the very first bottle of Teeling Whiskey Celebratory Single Pot Still, bottle #1, has secured a world record price of £10,000 in an online auction, making it the most expensive bottle of whiskey ever sold at auction for a new distillery. Partnering with www.WhiskyAuctioneer.com, the auction ran from the 31st of August until the 10th of September, with all profits raised being donated to charitable causes based where the Teeling Whiskey Distillery is located in Dublin’s Liberties. Bottle #1 at £10,000 surpassed a previous whisky world record of £7,900 sold in auction from a new English distillery held earlier this year. All 100 bottles sold at auction, achieving an average per bottle price of £600, excluding bottle #1. The arrival of Teeling Whiskey’s Celebratory Single Pot Still, the first Dublin distilled whiskey from the Teeling Whiskey Distillery, is a landmark occasion for Ireland’s whiskey industry and for Dublin, which was reflected in the overall interest in the auction. Dublin whiskey and its distilleries were at the forefront of the previous “Golden Era” for Irish whiskey in the 19th century and it was a very dark day for Irish whiskey when during the 1970s, these last remaining distilleries closed their doors. 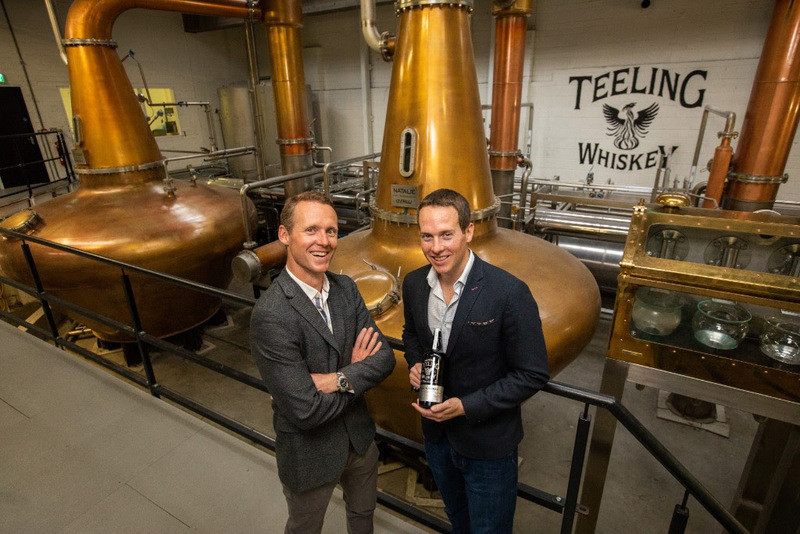 The opening of the Teeling Whiskey Distillery in 2015 marked a new chapter in the history of Dublin whiskey distilling, firmly putting Dublin and Teeling Whiskey at the forefront of a new wave of distilleries, that are driving a new ‘Golden Era’ for Irish whiskey. 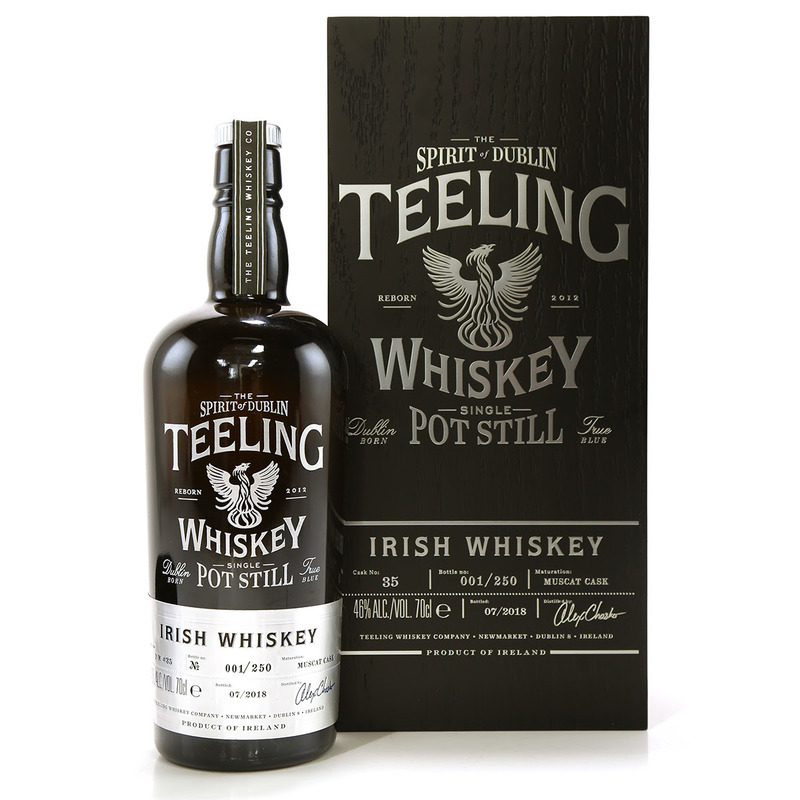 This Celebratory Single Pot Still was the first release of Teeling Single Pot Still Whiskey, produced from a recipe of 50% un-malted barley and 50% malted barley, a uniquely Irish mash bill made famous by Dublin distillers, distilled in 2015 in the Teeling Whiskey Distillery and aged fully for over 3 years in a high quality and unique ex-Muscat barrel. This one off celebratory bottling will soon be followed by the commercial release of the new Teeling Single Pot Still with Batch 1 consisting of 6,000 bottles set for release in November of this year. “The release of the first Dublin distilled whiskey for nearly 50 years is truly a landmark occasion for the revival of Dublin as an urban centre for whiskey distillation and I can think of no better way to honour this than the first bottle achieving a world record price. This is another chapter in the revival of the craft of distilling in Dublin and heralds the beginning of our own range of Dublin distilled whiskeys on a wider scale, with the release of our commercially available Teeling Single Pot Still Whiskey later in the year.